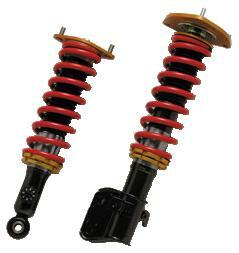 Blitz Coilovers - SR Dampers - Dezod Motorsports Inc - Home of the automotive performance enthusiast since 2002. Blitz Dampers SR were designed for both the sedans the sport wagons flourishing in Japan. Developed to compliment the racing spirit and custom-lifestyle, Blitz Dampers SR presents a radical change to the conventional sedan/wagon image. Featuring a high-quality steel constructed body and shaft, aluminum upper-perch and pillar-ball mount, spring-rate and height adjustability, 4-way front and rear eight-way tension adjustment – Blitz Dampers SR offers the versatility for performance and style.